Carver High is the only school in Muscogee County School District that gives their students a netbook that satisfies the integrated information literacy curriculum in all areas.Before the students are given a netbook, they gave to read the Netbook Policies and Procedure. The balloon Walk at South Columbus Elementary promoted reading with the parents of students. The parents were asked during the year to support the Balloon Walk Program. 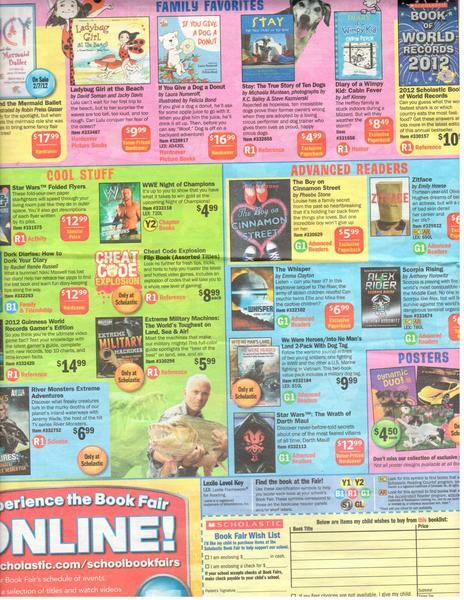 During my visit at Arnold Magnet Academy I had to demonstrate create and demonstrate an attractive positive educational climate when I was managing the book fair. I was in charge of getting money and making sure the students filled out the correct forms. Demonstrated technology-rich techniques at Arnold Magnet Academy, when I helped the ESOL students complete an assignment. The ESOL students had to state their favorite native actor/actress or signer and give a brief bio on that person. The students has to use the computer lab. For the 2012 - 2013 academic year Jordan High School is giving all of their students netbooks instead of textbooks. We has to prepare the netbooks for the students. We labeled and enter the codes in Destiny. Mr. Neal needed an idea for his English class that work incorporate technology and an assignment that would be presented to the class. I suggested Wordle. I showed Mr. Neal my Wordle assignment from my EDUT 6209 class and he loved it. I plan to create a lesson base on using Wordle. While I am working at a school, it is important that I go over the policies and procedures of the school. The examples below are the school rules. March 6, 2012 at Eddy Middle School with Ms. Hagan. While we were in Destiny, Ms. Hagan printed out a list of fiction books that has not been checked out in the past five years. Ms. Hagan believes that the media center has not been weeded in many decades. I could not believe that over 30 pages were printed out. I know that Ms. Hagan and I were going to try our best but I just don’t think we are going to get all of the books weeded on this day. Ms. Hagan and I divided the list and got to work. I am not sure of the exact number of books we removed but it was a lot of them. 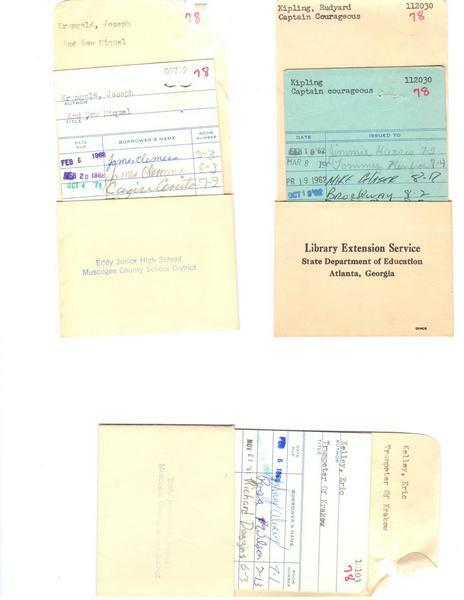 And Ms. Hagan was correct; Eddy’s media center had not been weeded in a number of years. We found books that were originally check out in 1965. Effective Media Specialist prepares students to become independent apprentices, with the desire, skills, and abilities to be lifetime learners. To accomplish this goal, Media Specialist must collaborate, support, and assist classroom teachers and administration in planning goals and objectives which integrate information skills with a variety of media. Media Specialist also accentuates the importance of reading for pleasure and an appreciation of literature. ·Teacher Certification - Submits transcript requests at the end of each semester and gathers all necessary information to process teacher certification applications and submit them to Georgia Professional Standards Commission. Also, maintains a database with this information. Assists with preparations for certification meeting at the end of each semester. 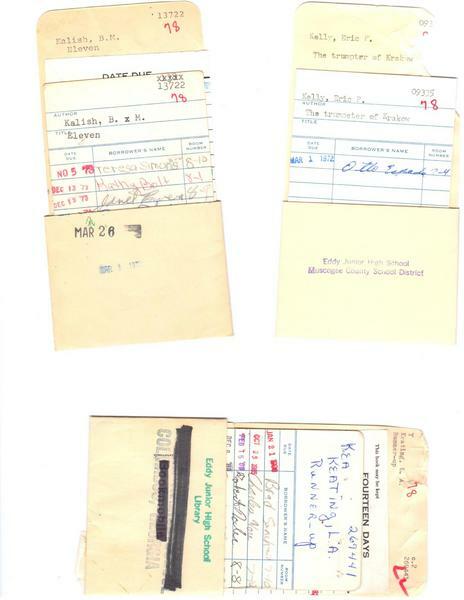 ·Student Teaching/Internship Preparation -Prepares student teacher files; maintains student teacher/intern database; manages mailings for student teachers, cooperating teachers, principals and university supervisors.Submits printing requests for evaluation forms, student teaching and intern handbooks, and other forms as needed.Merges student files at the end of each semester and purges old ones. ·Cooperating Teachers Honorarium -Compiles and processes information sheets from cooperating teachers each semester and maintains a database with this information.Submits memo for payment to business office at end of semester. ·Travel -Processes travel applications for all University Supervisors and other office personnel.This includes completing applications and submitting travel expense statements at the end of the semester.Maintains a spreadsheet with this information. ·School Contracts -Updates contracts with partner schools annually by making changes to existing dates, names and addresses and mails out to partner schools for signatures; files as they are returned. Maintains a list of counties to ensure partnership with all counties. ·Transcript Evaluations -Initiates the evaluation process by accepting fees and transcripts from prospective students and forwarding transcripts to appropriate program coordinator.Ensures that departments receive fees for evaluations by periodically distributing funds.Prepares cash receipts report and deposits transcript evaluation funds as needed. Reserve materials for class use Instruct and assist students and staff in location of materials utilizing print resources, software, and Internet resources. I was able to meet this Standard when Ms. Katie Preston, Media Specialist at Key Elementary, show me how she created bookmarks for the students. 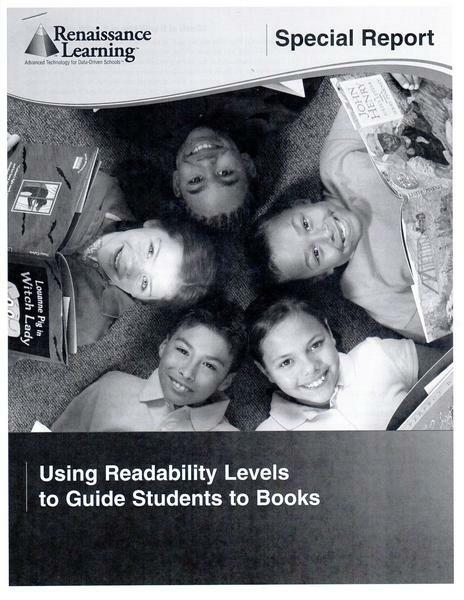 They bookmarks displayed their reading level and the bar code, which allows the students to access information. Ms. Preston explained the bookmarks identify and promote the student to become a more confident reader. An example of the bookmark is listed below. I satisfied this standard when I assisted Ms. Linda Jones, the CSU Librarian, at the resource center help desk. Because I worked at CSU for the past 10 years, I was able to integrated College of Education information to 2 future students. The students has questions about the how to fins curriculum content and their academic advisor. On the Field Experience Assessment, Ms. Jones gave me an 5. It is important for the classroom teacher and the media specialist collaborate to create a learning experience for their students. Ms. Preston, Key Elementary Media Specialist setup a calendar to meet with the teachers and the students. Example of Ms. Preston's 2010 -2011 and 2011-2012 is below. It was important for Ms. Preston to show diversity in her media center because Key Elementary students are 90% African-American. There is a display by the check desk that list some of the great leaders of the past, present, and maybe the future. Key Elementary had list of the media policies listed on the wall. This is a great example of 4.2 standard being meet. A picture of the list is below. My first day at South Columbus Elementary, I had to meet and greet parents who helped students achieve the 4th quarter balloon walk. Weeding is one clear way that Blackmon Road Middle ensures that their collection is analyzed and reflects the diversity on the student body. The Media Specialist created brochure explaining the weeding process and the policy of the media center. The center also has a collection of African American books. The day I worked at Eddy Middle School , the media center was closed to students because the school was a voting site. Still, Ms. Hagan went over her policies with me and gave me some examples. It also should be noted that this is Ms. Hagan’s first year at Eddy Middle School. I quickly asked Ms. Hagan if I should reschedule and come back later in the week. Ms. Hagan didn’t think that I should not reschedule because this is part of working in the media center. Between the hours of 11:30a.m. and 1:00 pm. Ms. Montarella explain in great detail what AR mean and how she uses it in her media center. Also during this time I checked in books, shelved books, and directed students to their appropriate AR book selection. The students that came in the media center during this time were upper class men.The only time I had to give the “teacher’s voice” is when a student was giving me a hard to because they could not check out a book.The student didn’t have their card and they had an overdue look, so the policy states that they cannot check out another book. Ms. Moss on March 5, 2012 gave me the the task of setting the parental control on e-readers that will be given to students who wanted to join the Northside High Book Club. 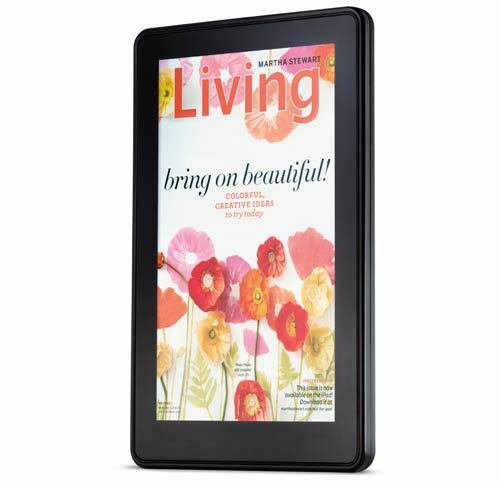 Ms. Moss wanted to make the e-readers were used to the selected readings. On this day, I had to load the books and but a password on the WiFi feature. Students won't be allow to download books nor have the option to get on the Web. Before student can gain access to the technology in the Media Center, tht student and their parents must sign the Muscogee Count School District Acceptable Use Policy (AUP) Agreement Form for Standards for Acceptable Use as Defined in MCSD Technolofy Plan. One positive display in the media center was th celebration of Dr. Seuss birthday. The display maintain a positive educational environment that promoted reading. In order to get a prize, a student had to solve a Dr. Seuss problem that required research. This is an excellent technique that incorporates technology and reading. 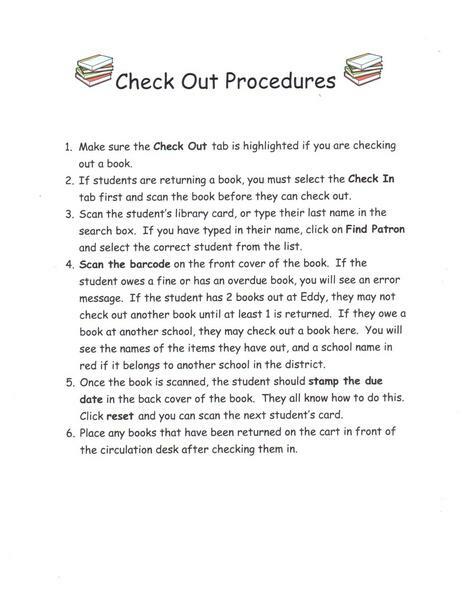 Before a book is placed on the shelf, the media specialist looks up the AR Level and the Quiz number. 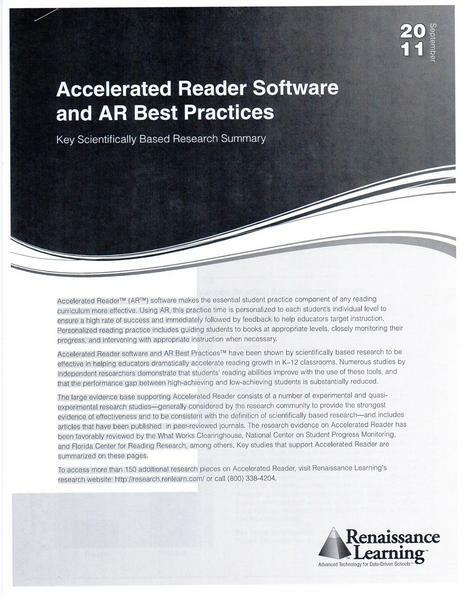 During my field experiences at Key Elementary, I had to look up the AR information. The media specialist must ensure that the student is given the correct curriculum level, so they become academically success. On March 7, 2012 at Gentian Elementary School with Ms. Montarella. 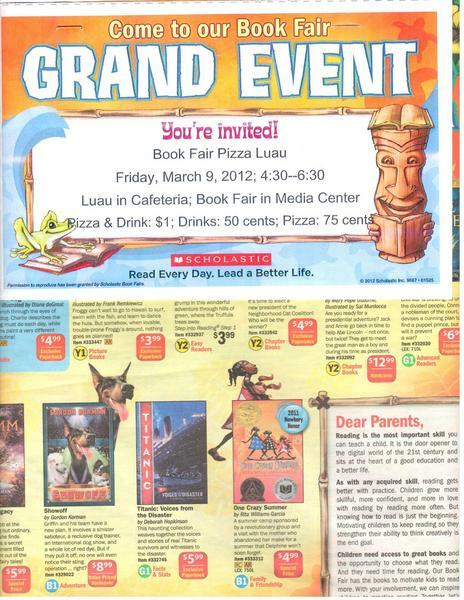 Between 9:15 though 11:30, I conducted preview of the book fair with 5 classes, ranging from grades Pre-K to 3rd grades. It was my job to explain to the students doing the preview, what items that will be available for purchase.I start by asking the students to hug themselves or put their hands behind their backs.I knew once the students saw all of the “cool” items it will be hard for them to resist touching the merchandise.Each class was allotted 20 minutes and the classes came every 10 minutes.The only time I have to stop the tour is when some of the girls saw the Justin Bieber posters.Which I can totally understand, I can remember being a young girl loving New Kids on the Block and wanting to buy any and all of their posters. While working about Arnold Magnet Academy, to ensure and promote literacy, Ms. Vinyard and I create a star bookmarks for the students.